DETROIT — Overlooking the depths of the mighty Detroit River (if you don’t think it’s mighty, try swimming across it), stands the impressive 2019 Lincoln Nautilus (formerly called the Lincoln MKX). The great strait of Michigan and the Deep South of Ontario (south of Detroit, mind you…) could easily hide Jules Verne’s Nautilus in its once-murky depths. (Now clear af due to the invasive zebra mussels who exterminated the indigenous mussels, et alii.) This luxury Lincoln is one notch above the MKC. Since 2007, the MKX has competed well against a sea of other SUVs around the world. The BMW X3 of Germany is a brilliantly-engineered machine; but I bet Jules Verne would rather drive a Nautilus. And, get this, it parks itself, breaks on its own when you are texting or daydreaming about being 20,000 leagues under the Sea of Tranquility, and can take you on a sojourn to the Arctic Circle in the depths of winter to see the Northern Lights with its all-wheel power. If you aren’t in the market for a luxury brand, and still want to buy American, the 2019 Ford Edge ST is a new model of Ford’s with sports technology that wasn’t handed out like so many GM post-bail-out stock certificates…. Speaking of GM, the 2018 GMC Terrain Denali looks to be another SUV with which to reckon. With a culturally-appropriated Athabascan tribal name for Mt. McKinley at the end of its name to signify it has all the bells and whistles, it’d better be able to reach the Arctic Circle in the middle of winter for peak Northern Lights Season; and, hopefully, without a push from any former President…. I should probably get an SUV for my next road transportation. I’m tired of not being able to see past the SUV in front of me from my obsolete Pontiac Grand Prix. I like its 6-cylinder power; but I think I’d enjoy the expanded vista of a higher perch. 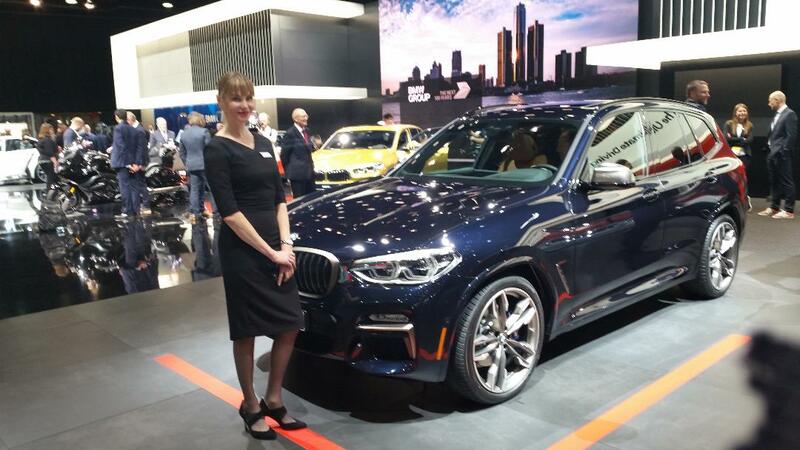 I wore my “Starry Night” tie on opening night of Press Week at the NAIAS – even though I wanted to wear it (and did) the next day when I taught art as a substitute teacher at a local high school. 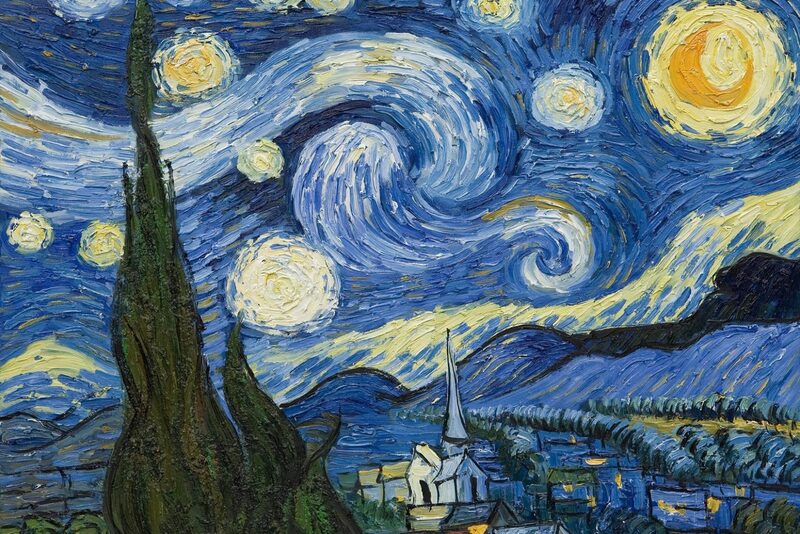 One lady, seeing Van Gogh’s masterwork over my belly said, “The auto show could use some art.” Indeed, it could. Just about everything could use some art. The White House. The Waffle House. The local café. The coney island joint by your house with 99 cent coneys twice a week…. Lastly, unlike Nautilus, which only fictitiously explored a new frontier, NASA will explore a new small world in 2019, a Kuiper Belt Object past Pluto that is merely called 2014 MU69 right now. I proposed Homie for its name to them. The New Horizons spacecraft that flew past Pluto on Bastille Day 2015 will fly past Homie on New Year’s Day 2019. 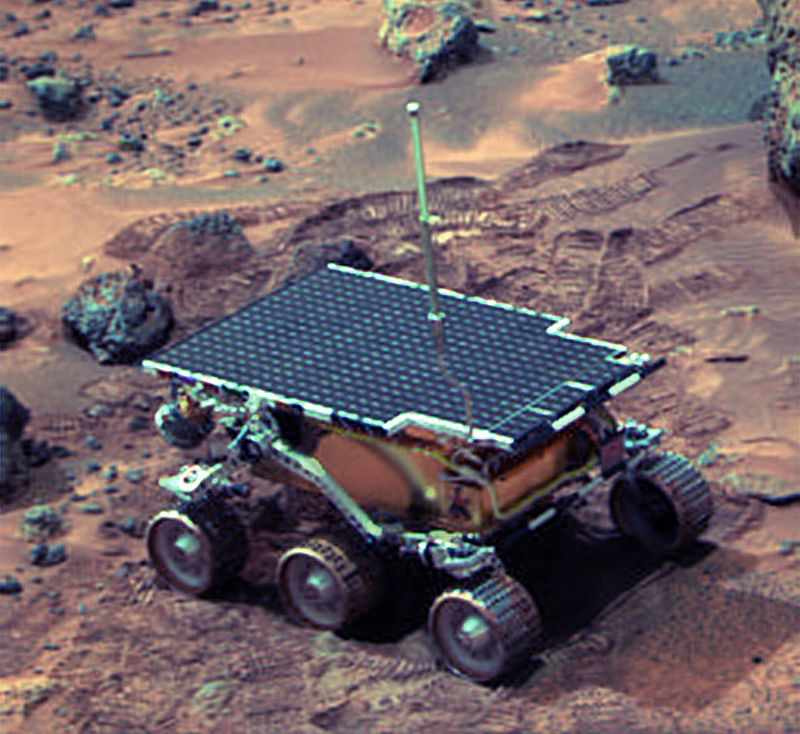 NASA has explored Mars with four rovers; one of them named Sojourner from the 1997 Mars Pathfinder mission discovered a rock named Moe. Named after Moe Howard, the blue meanie of the Three Stooges, I made an artwork titled “Orange Moey” from it that’ll be in an upcoming space art exhibit at The University of Arizona. Pluto should be explored with a couple of rovers, too. So should all four Galilean moons of Jupiter, and, of course Titan, and Triton of Neptune. That’s why I always love going to the auto show. It always tries to excite our imagination. To bedazzle and awe. In a good way. 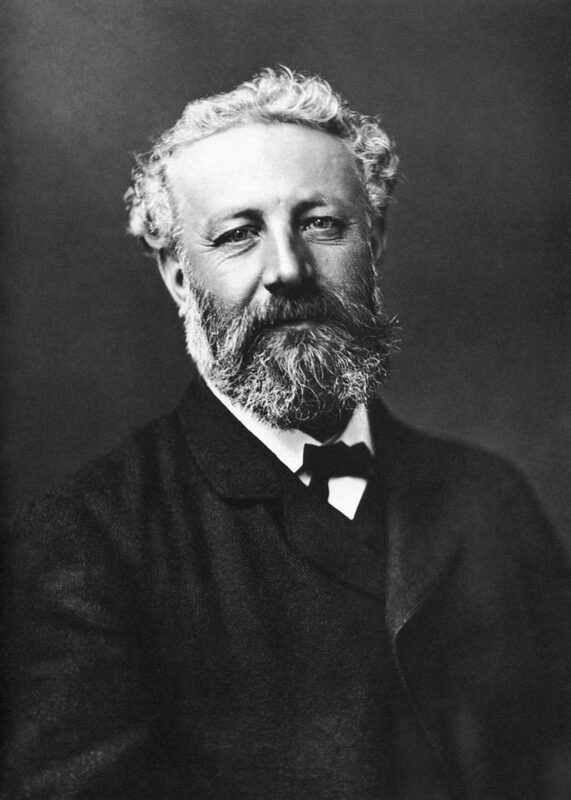 Jules Verne’s spirit is at this year’s auto show in Detroit, aka the NAIAS! “Orange Moey” by Mike Wrathell is about to be exhibited at The University of Arizona. 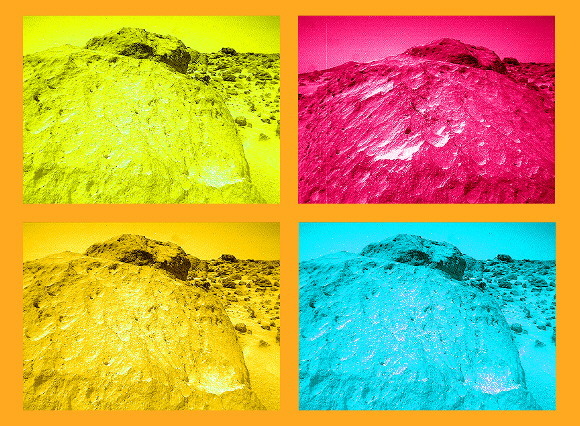 Raw b + w photos of Moe rock on Mars taken by the Sojourner rover of NASA’s Mars Pathfinder mission in 1997. Nyuk! Nyuk! Nyuk! Bertrand Russell was one cool dude. Sojourner landed on Mars and took some amazing photographs, including a few of a rock named Moe. It might not look as fancy as the 2019 Lincoln Nautilus; but it killed it on Mars.